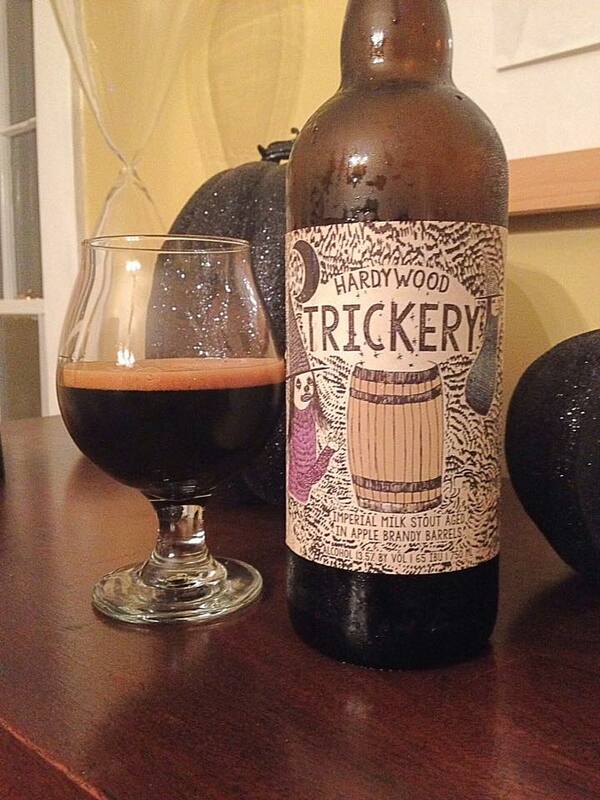 Hardywood Park Trickery is an Imperial Milk/Sweet Stout aged in Apple Brandy Barrels, 13.5% ABV. The beer pours as you’d expect with a nearly opaque black color and a nice little tan head. 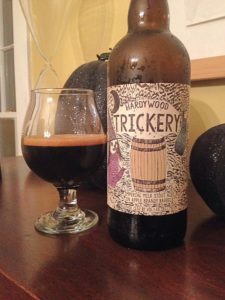 A highly enjoyable aroma reveals a dominate amount of big boozy goodness. You get the sweet and alcohol laced apple brandy barrel immediately, but there are also some mild notes of vanilla, dark chocolate and oak. 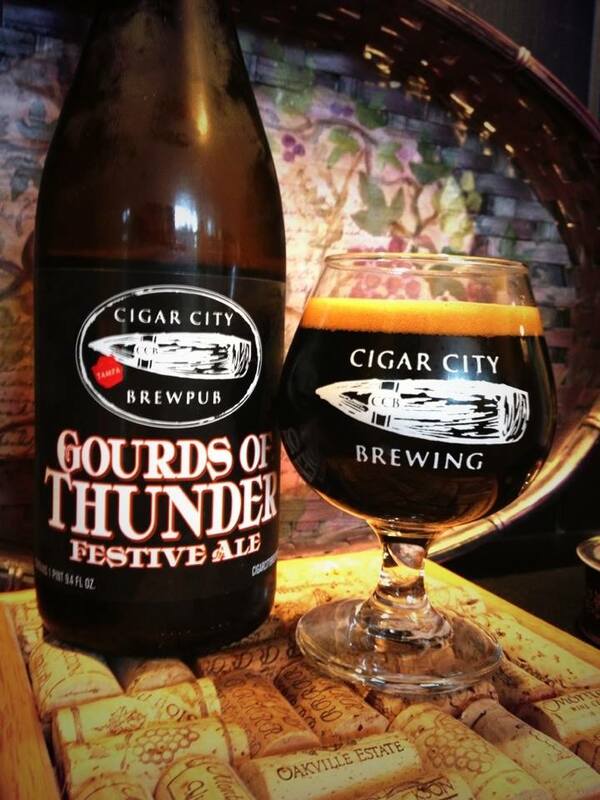 Sweetness is a key element to this Milk Stout and it is apparent on the palate right away. The taste leads off with a mild roastiness which is quickly followed by a sweet creamy chocolate; it’s a flavor that makes me think of a mixture between sweetened condensed milk and milk chocolate. A touch of vanilla is blending with a little oak and some brandy from the barrels. A hint of dark fruit comes out in the taste as well. 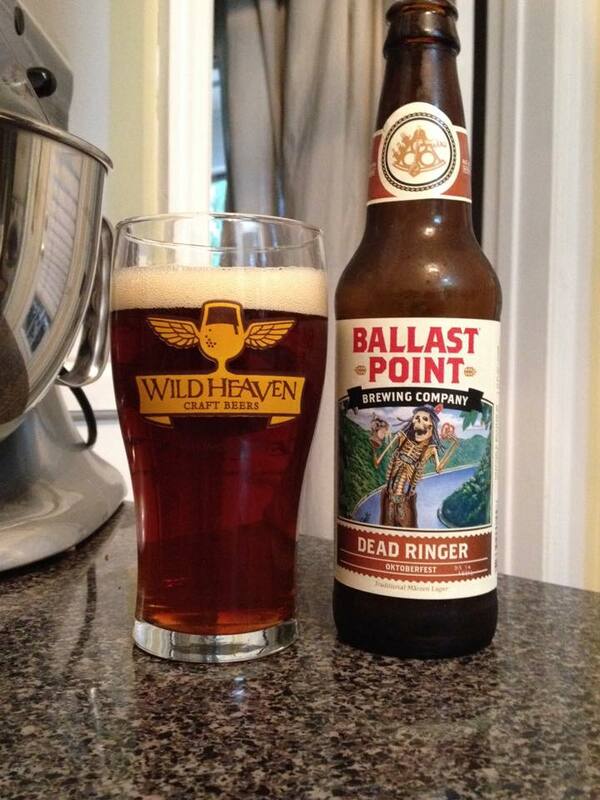 A little bit of alcohol bite comes in on the finish, but for the most part the 13.5% in this beer is well hidden. 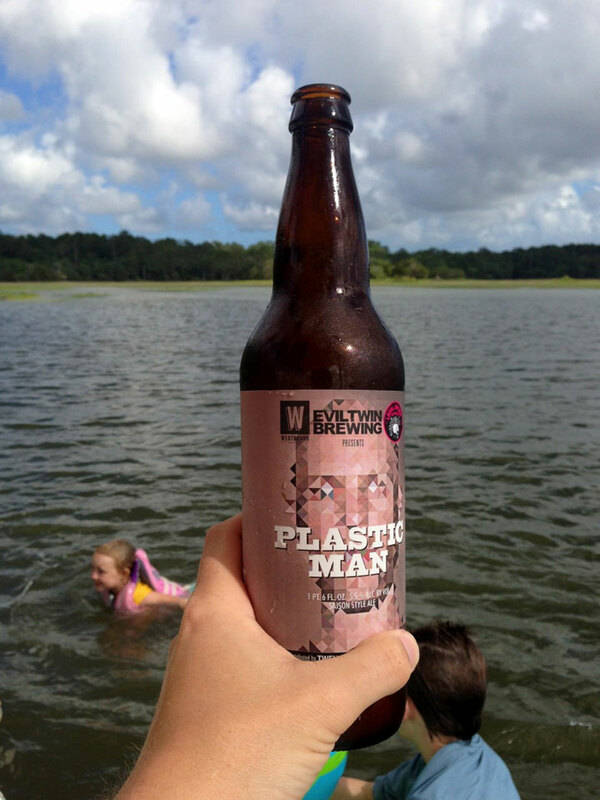 The mouth-feel pleasantly coats the mouth, leaving behind a fantastic aftertaste. Apple brandy barrel aging can be a bit hit or miss for me, but it really works well with this big sweet sipper. I can’t really find a flaw with this one, seek and enjoy!